Demoted from AAA Scranton to AA Reading, Casey Waller tried to keep it positive. He'd been to Reading before, each of the previous three seasons. He'd never seen Philadelphia. "I'm happy to come back because I know I will get a chance every day," Waller told The Reading Eagle that July, "and that's only going to help me. I want to get better, and I wasn't (getting better) sitting on the bench at Triple-A." Waller never would see Philadelphia, or anywhere else in the majors. That season was his last of five in the Phillies system. Three more seasons in independent ball, with a brief stint in the Marlins system, proved the extent of Waller's career. Waller's time with baseball, though, has continued in the state where he spent so much time as a player. It's continued as a high school coach in Pennsylvania. 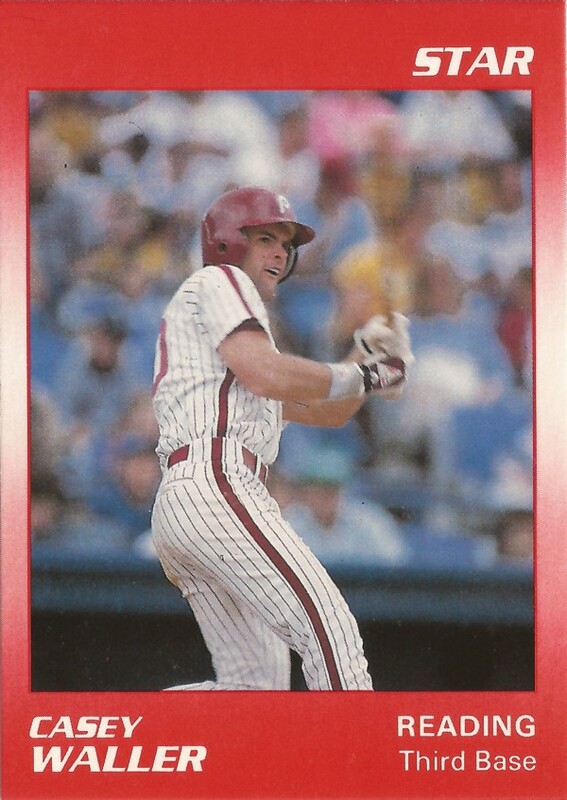 Waller's playing career began in 1989, taken by the Phillies in the 11th round of the draft out of Virginia Tech. Waller had hit .365 for the Hokies, with 51 RBIs and 25 doubles, The Newport News Daily Press wrote. The selection took a little longer than Waller expected. He'd been told he might go as early as the fifth round, he told The Daily Press. But he was a Phillie and he played that season at single-A Spartanburg. He hit .257, with eight home runs. In his second season, Waller got his first look at AA Reading, splitting the season between there and high-A Clearwater. He hit .242 in 67 games at Reading that year. His third year saw Waller play virtually all the season at Reading, hitting .261 with 12 home runs. He also got four games at AAA Scranton, going 1 for 14 at the plate. Waller got 23 games at Scranton in 1992, including one where he knocked in two. He hit .295 in those games, with a total of eight RBI. He hit .255 the remainder of the year at Reading. At Scranton in 1993, Waller got 58 games, with 170 at bats. It was the most time he would see at AAA. Waller hit just .173. Back at Reading, he hit .260 to end his Phillies organizational career. Waller went through independent Brainerd, Minnesota and Thunder Bay, along with 14 games at AA Portland in 1995, ending his career at the close of 1996. Waller spent six seasons coaching Loyalsock High School, outside Williamsport, Pa, going 115-27 in that span and picking up a state championship, The Williamsport Sun-Gazette wrote. "He's turned this program around," Loyalsock second baseman Brian Fischer told The Sun-Gazette on Waller's departure. Waller left to spend more time with his family. "He knows so much about baseball and he's such a great baseball person all-around. He's really encouraged us and made us better players." Waller has since moved to nearby Hughesville High, coaching there in 2011.